If we happen to be armed with some factual knowledge and point out that endorsements from tech companies who will benefit financially is not what will bring tomorrow’s jobs, parents quickly discover that disputing the talking points on the Common Core is like trying to have a discussion with a robocall or a parrot. Now I am going to say do svidanija!, the Russian phrase for goodbye, to any discussion today of Soviet psychology and the fact that the education model the Common Core reflects when we look at what is being asked of teachers, measured in students, and theories imposed on the classroom all comes from the old USSR. Decades of experimental research and now imported to the US and other countries as cultural-historical activity theory. I suspected it before but recently reading the 2002 book Learning for Life in the 21st Century removed all doubt. But curriculum is our focus today. The developmental perspective that CHAT and learning theories grounded in Vygotsky represent needs a redesign of the very paradigm of the curriculum. And it turns out they have it because in 2011 Harvard set up a Center for Curriculum Redesign that has UNESCO, Pearson, the Gates and Hewlett Foundations, the Nellie Mae Foundation behind the Competency Works report from the last post, Microsoft, Intel, IBM, Google, the OECD and World Bank, and the governments of Massachusetts; Finland; Alberta and Toronto, Canada; Korea; Singapore, and the Australian curriculum authority (acara) all involved. Global coordination indeed of precisely what students everywhere will be interacting with and experiencing on a daily basis. Well, THAT got my attention. You can imagine my surprise when I discovered Charles Fadel was a Visiting Practitioner at Harvard. Ooops, I see I have forgotten to mention the University of Pennsylvania and MIT are also involved. And not just Stanford but the very prof, Roy Pea, we met in this post http://www.invisibleserfscollar.com/the-need-to-know-as-we-understand-it-today-may-be-a-lethal-cultural-sport/ on the NSF funding of cyberlearning and informal learning. That was Margaret Honey of New York Hall of Science. The Partnership for 21st Century Skills is also on board and “applauds the vision of CCR to redesign curricula for the 21st Century that is both relevant and engaging, and goes beyond core content.” These letters are available on the CCR website under partners. I will give one more quote from ERB since it is speaking on behalf of its member schools and that includes many of the most prestigious private schools in the US. It says “We relish the opportunity to help redefine what it takes to be a knowledgeable, ethical, and wise citizen of an interconnected and interdependent global community of learners.” A very interesting end goal that is probably not what a parent has in mind when they ship off their high schooler to an expensive boarding school. Eliminating human selfishness as the point of the curricula and education and then making the public sector the dominant planning force in society. That’s much more likely to create a Dickensian future than be a means for avoiding it, but then I am still a fact-based person, not a theorist looking to implement infamous or untried ideas on a global scale. It is also interesting Fadel envisions “Leveraging our entire selves–head, heart, and hand” in this effort of social, economic, and political transformation. He also sees curricula redesign as a means of fostering personal fulfillment. Right. So Standards are not curriculum, but the Common Core Standards, whatever their new names in the various states, serve as a vehicle to obscure this intended global shift in what is to be going on in the classroom. Big Business wants this because they hope to benefit from the associated public-private partnerships planned. The international competitiveness is grounded in a vision of global transformation to public sector planned economies and pushing for social justice for disadvantaged groups in each country. So much for those talking points. Now we better focus on where this new concept of curricula is taking us. Because it is to be conveniently hidden for the most part on inaccessible computer databases and networks. How convenient that so many interested in the ‘cloud’ and Big Data generally have signed up to help reconceive the curricula paradigm. Some entities are about to have quite a useful control over a great deal of pertinent information. While at the same time they are trying to minimize the actual knowledge any citizen is likely to have. Does this curricula redesign feel like an effort to uninvent the printing press and its liberation of the individual’s access to information to anyone else? A future vision that combines economic and political power and seeks to limit unapproved knowledge. Anyone else recognizing what time periods we seem to want to ape here? The great Political Theorist Kenneth Minogue’s tragic death yesterday gave me a good reason to go back and reread the highlights of his fine 2010 book The Servile Mind. Turns out to be just the kind of insights we need to grasp precisely what is being attempted globally in education. And why. I had been fuming since Friday that we have basically three tracks going on right now in education. Track 1, the vast majority, really have no idea that there are to be dramatic changes in the nature of K-12 and higher education. Track 2 is aware of the Common Core and is concerned that it is a usurpation by the feds of local control over the curriculum. Back to track 3 to discuss what is off most radars. It has explicit intentions to create those very moral changes we were just warned about. In an entire generation of learners. Hoping to, in the words of one speaker, create “habits of head, heart, and hand that together will hopefully cause students to take meaningful action. And engage in volunteerism and service. Standing up against injustices and improving conditions and making changes in the world around them.” I have warned about media education and the primacy of the 21st Century Skills push and also the Global Competence portion of the Common Core that guides the classroom vision even though it is usually unmentioned in the PR push. On June 4, 2013, the Partnership for 21st Century Skills (which had deceitfully claimed to be shutting down a few years ago) put on a Congressionally Sponsored Global Awareness Event at the Capitol Hill Visitors Center. To push Global Citizenship and Digital Literacy. We had the Pearson Foundation as a sponsor and a Disney executive (as in Mickey Mouse and lots of Media pull) as the moderator. Hirschfield went on the say that “head–heart–hand is how we shorthand this.” I am going to interrupt my quoting to point out that genuinely free market economies provide people with what they want to buy but they are drivers of economic inequality. It’s just that the least successful still are better off financially than has ever been the case in a state-directed economy. With Statism what gets equalized has generally been misery unless you are politically connected. Everyone else gets misery without much recourse apart from physical escape. On rafts. Over Berlin Walls. Tunneling. A human drive to be free. I will interrupt this troubling confession of the new purpose of education to once again borrow Professor Minogue’s insight that “the ideological frenzies of the twentieth century” like Nazism and Communism “have largely disappeared, except in universities, but the basic impulse in our civilization toward collective salvation has not.” And the way an elite go about obtaining that collective salvation and servitude is through a “change in the hearts and minds of human beings.” So we recognize the impulse but what happens to a society where the next generation knows little but feels the need to jettison what exists and try to design anew? 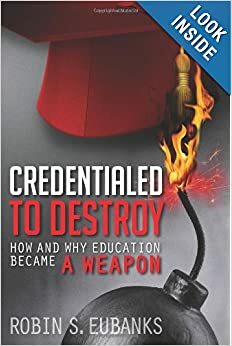 I think the term “playing with fire” is too mild to describe the dangers of this new, to be mandated, view of education. Welling also mentioned that she believed that the Asia Society was doing fine work in promoting this new view of Global Education which is why I led off this post with a mention of its PGL13 conference last week. http://sites.asiasociety.org/pgl2013/about/ She also mentioned the work of Fernando Reimers at Harvard as guiding this new vision of global education for all in the future. Not just that understanding mind you, but also “develop that compassion” so that students will learn to act as desired. And on the political issues desired. Promoting Alternative Thinking Strategies: Is This Really Mental Health First-Aid? Let’s say the political transformation truth came out instead of talking about the Common Core as a means of creating common content expectations from state to state using common tests (neither of which happens to be true as I have shown). That is unless you count content as those Life Skills of Psychosocial Competence that now go by 21st Century Skills to sound better and move us towards our planned future. And I actually do mean Planning with all the fervor of a PhD candidate in Urban Studies at an Ivy League school. Maybe one of the Cambridge Cousins where too many profs have been enthralled with Systems Thinking and Theorizing and trying to get people’s behavior to fit the computer models for decades. But no we can’t make it about 21st century skills up front as the reason because that P21 Partnership was going over like a lead balloon as attendees at conferences kept wondering “Where’s the content knowledge?” So P21 said it was folding up shop and leaving its Tucson home where it was in such close proximity to Peter Senge’s version of Systems Thinking. That it would just move into the CCSSO’s offices in DC. And thanks so much for offering the room. We are going to talk about Consciousness in this post. Cultivating it with the desired concepts and filtering metaphors and desired values, attitudes, and beliefs. For a collective, common-good primary orientation. And actively manipulating it when the Mind that Came from Home has undesired beliefs and is too independent. Maybe they deny an Obligation to All Humanity or maybe their dad is a Physics prof wondering how it is Science to have no interest in actual data that is inconsistent with the hypothesis that increasing carbon dioxide because of man’s activities must lead to catastrophic consequences. Now any similarities to Uncle Karl’s Human Development Theory we have discussed are wholly coincidental. It’s not like anyone with influence over British education at that time missed Marxism and the influence it had wielded. So this passage brings in intrapersonal and interpersonal skills and Educating the Whole Child and Emotional Intelligence. So the Brits and the Scots and the Aussies and the Canadians all looked at the veterans in developing such curriculums. The Americans. We have CASEL and the recommended Responsive Classroom program. Oh but back in 2001 it would have been known by its earlier name, Peaceable Classroom based on esr’s decades of Conflict Resolution and Social Responsibility work. Or there is PBIS or also Positive Behavior Support Systems. Especially popular in Colorado where the McREL ed lab pushes it as a useful tool of Second-Order Change in education. Then there is PATHS which those Scots had turned to. PATHS is more than 2 decades old and is considered an ABCD model for the classroom–the affective/behavioural/cognitive/dynamic model of development–“placing primary importance on the developmental integration of affect, the vocabulary of emotion and cognitive understanding as they relate to social and emotional competence.” PATHS is not just for deficit urban areas although that is where it was researched on children and still gets used. See Cleveland last week. http://www.air.org/files/Avoid_Simple_Solutions_and_Quick_Fixes_Osher_January_2013.pdf . PATHS also gets promoted now by the National Center for Mental Health Promotion and Youth Violence Prevention. And we know from an Ed Week article from a few weeks ago “Making Mental Health Part of the School Safety Solution” that all these SEL curricula are to be used as Mental Health First-Aid, supposedly to make the chances of another Sandy Hook or Columbine less likely. Long-time readers know Colorado and CT are awash in SEL and other change the student’s personality and have been for a long time. Remember that mention of what Growth means because that is the new measure of the effectiveness of what happens in classrooms. Is student growth occurring? And there is nothing coincidental about the use of that term. I know because the 1976 book Schooling in Capitalist America spent a great deal of time describing the vision for “balanced human development for fostering general human fulfillment and growth.” It’s a vision they said was consistent with the “development of a revolutionary socialist movement in the United States.” They were hoping to use education institutions, “social theory, and concrete political practice” to get most of their vision in place without violence. In their “Strategies for Social Change” passage the authors remind us of why educational institutions are so important. And they want that consciousness to become widespread among citizens. Now won’t those ill-structured performance assessments grounded in real-life problems be an excellent means of creating that consciousness? Since socialism is seen by its advocates as a State of Mind. One grounded in emotion. Certainly makes all the deliberate cultivation of false beliefs and mentions of filtering lenses to be practiced with in activities at school make far more sense. It is also consistent with a speech Linda Darling-Hammond gave about 2009 where she giddily and unwisely mentioned that the Common Core was really about social and emotional learning. That content was just something to practice those behaviors on. The latter point can be clearly seen in documents I have where the continuous improvement is to be in desired behaviors, not knowledge. We really are being scammed here on the difference between rhetoric and reality. And the sought goals behind closed doors could not be more Transformational. Luckily for us behaving as Miss Marple Who Reads A Lot has been a tremendous source of relevant info. Now my third point is sort of fun. Remember I have mentioned the UN came out with a World Happiness Report in 2012 trying to get us all primed for transitioning to Quality of Life Societies where our happiness consists in the Wellbeing of All? Yes Kumbayah. Well its co-author, Richard Layard, gave a speech in March 2012 called “Mental health: the new frontier for the Welfare State.” It’s on pdf and youtube. Which I would suggest puts the idea of Mental Health First-Aid as a daily part of every classroom in a whole new, and apt, light. 21st Century Political power for a desired welfare state. Everywhere. Let’s mull that over for a minute. That would explain how all students, whatever their background, can learn. It would also increase graduation rates as everyone can become an active change agent in the society they feel is unfair. To simply redesign society to be more just. Except society was never designed in the first place. Our Western institutions evolved out of need and survived because they worked. If not perfectly, well enough not to be toppled in a wholesale search for something that might be better. This idea that school is now to be about priming students to help build better government institutions is nonsensical. Who will staff these better institutions? Better trained public employees to be of better service to the citizens seeking justice? With those sets of Skills? The Framework calls the skills in the title a pivotal choice and italicizes the sentence. I will too. “Hence, to make a collective decision to narrow the overall goals of skill-building in educational systems is to limit how well we prepare current and future generations to participate in and transform our institutions and social structures. But they will not know anymore and the only economy that can take care of young people without genuine knowledge and skills is a stagnant state-run one with no actual growth. Which means no revenue to pay the costs of the government and its aid to the miseducated Change Agent Generation it is creating. Even in the popular delusion that we are going to retreat to some type of equitable post-carbon economy with a Land worship agrarian existence like the Native People had before Westerners showed up with the oppression of private property, there is no prosperity anymore. Not to mention a terrible set of misguided beliefs about what tribal life was like. Self-sufficiency means no surplus and no reserve against famine when natural disasters strike. I have been reading the Bioregional Plans all this week and none of them indicate they were written by anyone with a modicum of sense. Because this kind of a Perceive Need to Change Society and then Plan How to Do It Curriculum just does not score well on tests of actual knowledge and skills. So the 2009 ARRA Stimulus Act funded those new ways of measuring students first. One impediment down. The curriculum is what goes on in the classroom which is part of the reason to push digital tablets and computers and I-Phones and Kahn Academy tapes at home. It leaves the classroom for social interaction. The students themselves essentially become the curriculum. Examples of Cultural Responsiveness listed for each student go beyond “appreciation for and tolerance of diversity” although that is listed as the first level. The second involves “uncovering individual conscious and unconscious bias, how these play out at classroom, school, and district levels, and beginning to draw on the backgrounds and knowledge of students and their communities as strengths and assets.” I guess the Second Level could be called the Getting to Know and Appreciate You, All of You, Curriculum. No wonder there has been a move to get rid of Honors and Gifted classes. They interfere with this new “overall educational environment” of personal interaction as the primary point. The assessments then are designed to be formative–changing the student and measuring the extent of the changes in these skill sets and values, attitudes, and beliefs. That’s the purpose of the learner-centered classroom instead of the teacher-centered one we traditionally associate with education. It still had content as the focus. And content would not be equitable. As the Framework said at another point: “if we do not develop deep knowledge of the past and how we created our present social conditions, we will be doomed to continue them.” So instruction also had to be targeted and was. There are apparently to be lots of tales of racism and oppression and exploitation to create the spirit of Transformation desired. To instill it deep within each student’s core beyond the range of conscious thought. Is it too late to stop this vision for American education? I hope not because this National Equity Plan is a prescription for widespread disaster. And the resulting death of the America we know and most of us love and the loss of the freedom to make our own decisions and widespread prosperity like the world has never seen before will not be an accident. And it won’t be manslaughter. This is intentional. The only possible excuse for what too many adults living at taxpayer expense are pushing is that they do not know the likely consequences of what they are deliberately pushing. And that’s not much of an excuse. And I for one am taking names. So our question for most of these Principals and Supers and Professors and some of the Teachers needs to become: “Are you an Inadvertent Insurrectionist of this fine country with a few warts that can be fixed? Or an Intentional One? We taxpayers and parents have every right to know. And we need to know soon. Like last week in some districts.